AMSOIL Z-ROD™ Synthetic Motor Oil is specially engineered for classic and high-performance vehicles. It features a high-zinc formulation to prevent wear on flat-tappet camshafts and other critical engine components, along with a proprietary blend of rust and corrosion inhibitors for added protection during long-term storage. AMSOIL Z-ROD™ Synthetic Motor Oil is specially engineered for classic and high-performance vehicles. It features a high-zinc formulation to prevent wear on flat-tappet camshafts and other critical engine components, along with a proprietary blend of rust and corrosion inhibitors for added protection during long-term storage. Z-ROD Synthetic Motor Oil is designed to perform on the street and protect during storage. AMSOIL Z-ROD Synthetic Motor Oil is formulated with a unique blend of rust and corrosion inhibitors to ensure maximum protection during long-term storage. 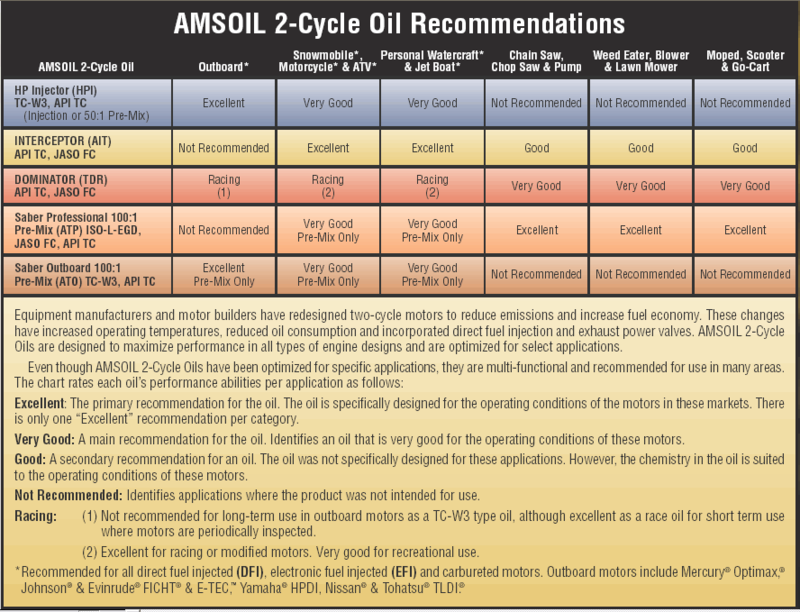 To prove its effectiveness, AMSOIL submitted Z-ROD Synthetic Motor Oil to the Standard Test Method for Rust Protection in the Humidity Cabinet (ASTM D-1748). This test evaluates the rust-preventative properties of oil under high-humidity conditions, similar to those faced by a covered hot rod in a damp garage. The metal coupon treated with AMSOIL Z-ROD Synthetic Motor Oil showed no signs of oxidation after 192 hours, while the coupon treated with a leading competitor's product failed the test after 24 hours. AMSOIL Z-ROD Synthetic Motor Oils are compatible with conventional and other synthetic motor oils. Mixing AMSOIL Z-ROD Synthetic Motor Oils with other oils, however, will shorten the oil's life expectancy and reduce the performance benefits. 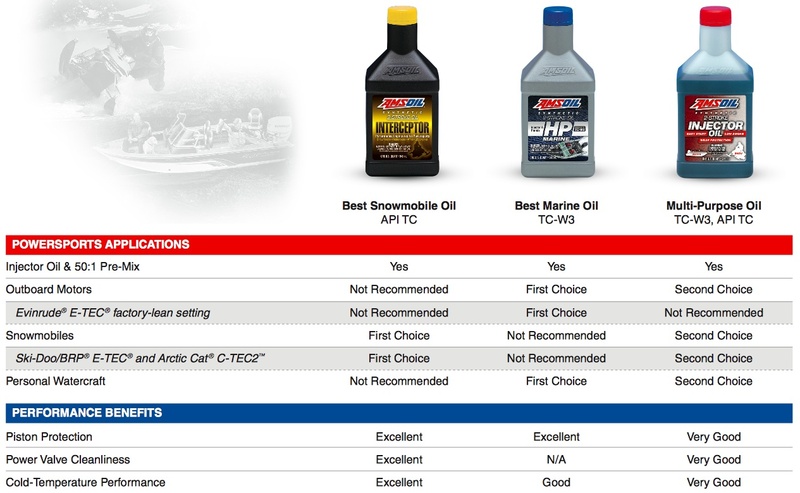 Aftermarket oil additives are not recommended for use with AMSOIL Z-ROD Synthetic Motor Oils. 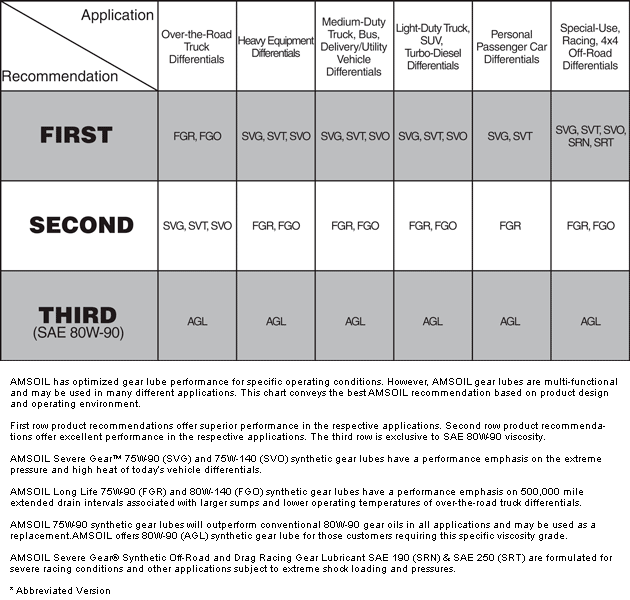 Click here to view the MSDS Data Sheet for AMSOIL ZRF. Votes & Reviews: 51 vote(s) and 88 user reviews. Bought it for a 73 mustang. Love the product. I bought this oil based on the fact that it has extra added Zinc for flat tappet cams generally used in hot rod motors and the fact it is known in the hobby to be excellent oil. I have a '73 Bronco with a 302 V-8 engine. It has a mild flat tappet cam and a few other goodies. Because of the 'flat tappet cam' the engine needs oil with zinc. The Amsoil Z-ROD Syn. is exactly what the 302 ci. needs as it contains high levels of ZDDP for max. protection. Great products for my business/shop. I have been a long time Amsoil user myself for all my racecar/street car applications. When I opened my shop it was only fitting to stick with the best! All my customers cars/builds get Z-rod or Dominator series and with great results. Use in my 1969 Corvette. I use this product in my 602 crate circle track engine to optimize HP all the meantime protecting my engine from the harsh elements. Love this oil. I wanted the best flowing highest zinc content for my Hemi Charger. Amsoil was my choice. Cost a little more but only the best for my baby!!! Best racing oil I have used in high horsepower racing go karts. I use this in my EBR1190rx race bike, engine has been raced or on track for 8000 miles, engine is still in amazing condition, no loss in power, compression and leak down test are top notch. Perfect oil to protect your classic car. After much research needed a top quality oil to protect my 44 year old classic car. Z Rod fits the bill. The best protection out there. I use this oil in my '93 k2500 suburban with the 454tbi motor, It has a mild cam that calls for a zinc additive. I get my used oil lab tested and the tests show that this oil holds up better and provides more protection than the previous high-zinc oil I was using. I now use Amsoil in all of my vehicles and recommend it to friends every time. Pretty much the best racing oil out there! I've been using Amsoil for over 5 years now. This stuff is really incredible! Even with higher oil temps it really does hold up well over a long race. We recently started using this in our endurance car (Acura Integra) and so far it has held up remarkably well! One of the higher Zinc oils my motor loves. It quieted my lifter tick and my motor just feels more healthy overall. Bought two cases after making sure it was really helping. As always amsoil comes through and produces one amazing product! Does everything promises. Great oil for great price. Use amsoil products on all my cars! zrod 10w30 will continue to buy for the life of my car! I run AMSOIL oil and gear lube I all my antique autos. Unbeatable protection in my opinion for older, seldom driven vehicles. I use this in my 68 gto, fantastic zinc content, holds solid psi even in warmer temps. Won't use anything else. Tuned by him as well. I use this oil in Ford 390 FE engine with flat hydraulic flat tappets, and 235 inline 6 Chevy with flat tappets. The correct amount of zinc is why I use this oil. I think this is the best oil for my '68 Firebird. Put Amsoil in my 03 Cobra engine and transmission. Noticed a positive difference right away. Engine started faster and idled smoother. My T56 Magnum trans(6 speed) shifted gears more smoothly as well. Absolutely love the quality of amsoil!! I use only the best on my motors! Product is GREAT!!! I use in my Yamaha YXZ and can NOT complain about this oil. I have been in the red on my gauges for over half a race and still to this day have not had any motor issues. Love this oil for my supercharged car with 180k miles. I choose this for my 79 Mustang as it has a non-roller cam and I want to ensure the longest wear and service from the cam and the engine. I trust this oil to meet the needs of my car which are different than modern ones. One of the best products I've found for my engines. This is a great product for after rebuilding and maintaining my all aluminum block Rover engines. I use it in both my competition trail truck and my daily driver. I road race a large ci fe ford. It is pushing 4000 miles. The engine has never been freshened and it has never had a failure! Mix with pump 91 gas for my superjet jet ski. The best oil I've ever used and smells great ! We rebuild a lot of vintage flat tappet engines. This product performs as advertised; we have had excellent results for years. I use this oil for both my Superformance AC Cobra MK3 and 93 Mustang GT with 347 Ford Performance engine. I feel confident I am getting the best protection money can buy! Great protection for all my flat tappet vehicles. Like this stuff as it provides needed ZDDP protection for all of my flat tappet camshaft antiques. I run a dirt track car so my oil sees extreme conditions with heat, cycles, and dirt. I use to change my oil after 3 nights out and would then send an oil sample off to get tested and they would come back with the oil is at the end of its life. I then switched over to this amsoil dominator 15-50 mid last year. I sent an oil sample off after 3 races and they told me the oil was practically new still. I then sent a sample off after 6 races and they said the oil its self was still good but recommend I change it because of high silicone (dirt) content in it. I think is best stuff out there!!!! AmsOil Z-Rod is by far the best oil for older engines that were designed to use motor oil with Zinc. I have used it for many years, and I've never had any issues. I have used amsoil in my harley and cars as well for a few years now, U still remember the first time I used it in my twin turbo stealth. It ran much smoother and quieter. The same in my harley. This is the best oil in the market, I have tried others before Amsoil but nothing is better. I run a stroked 6.1 to a 6.6 Hemi 10.8:1 Compression. I need an oil that takes a pounding driving to work or doing some street racing. Very happy with Amsoil products. I bought this oil primarily for the ZDDP in it. The engine (67' BBC) runs cooler and quieter. I would buy this again, but probably to 20w-50 vibe the 10w-30. Best stuff for my front wheel drive circle track racecar! I do asphalt circle track racing and Amsoil is all I use! When I'm cranking my car over 9000 rpms it's all I trust! Using in an 87 Grand National built up with alcohol. Big turbo with 400 trans, run with this oil and have no complaints. Also have been using for years in 1960 Pontiac with 565 bow-tie block over 1350 horsepower with 1071 blower. have used Amsoil products for last 20 years in cars, trucks, motorcycles and boats. I have used the top tier Signature Blend several times for the 25K Mile/1 year change interval and have not experienced any problem with wear or failure OR any excessive use during these change intervals. I see no reason to use any other fully synthetic product in my vehicles, with having the preferred membership prices available, and the cost of anything else is higher for not as good of product! I use it in many hot rod cars I work on. good stuff. I have two older cars with flat tappet equipped engines. the Z-Rod oil is perfect for this application. Plus being a full synthetic oil, I know my engines are getting the best lubrication and protection available. As an aside, I also use Amsoil in my newer cars, not Z-Rod though! This is the first time using Z-Rod motor oil in my restomod 69 GTO prior to being stored for the winter. So far, looks like a good product, but need time to see how it performs over the next year. I would buy this product again and highly recommend! Use in my antique flat tappet engines and motorcycles from the 70's. Great engine protection. The only oil I use in my 1949 Kaiser. I don't drive my Kaiser much, but using Amsoil Zrod oil I only need to change my oil once a year. This oil protects my flat tappet cam. Trying it out on my air cooled VW buggy. Have only gone 200 miles but already noticed my oil pressure is 5-10 lbs better at idle on 90 degree day. Just what I need for my old school VW! Nothing but the best for my 77 Corvette. Best oil period for my original flat tappet L-82 Corvette. Bought this for a friend,he was looking for zinc based oil. Engine has solid roller camshaft. Mostly street duty,with some racing. He's ready to buy more amsoil products for his other vehicles!!! Will buy this oil again! I have used this in my 1987 Silverado 5.0 with 250,000 miles on it for the last 20 years and, I still get 4500 miles to a quart and the engine is still quiet and has never been opened. Very happy with Amsoil! I drive my 68 Dart 2 dr sedan constantly !!!! Literally !!!! It is small block mild with 3 speed auto. And Z Rod Is All I run It Along With Synthetic oil filter and go air filter all AMS Oil Products!!! Recommend it to Everyone !! Use this in my 1934 Ford Pro Street Pickup, With a 406 Small Block Chevy making in excess of 500 HP, Run it in very Hot Weather in the summer going to car Shows and Cruise nights, Preforms well with this oil, no problems at all, Love it. The best for vintage engines! Used this in 2 engines. Air cooled 911 and my S32 engined E24 M6. Both seem to enjoy the thicker oil and seems to quiet valve clatter. Very pleased. I would and have purchased this item in the past. I have a 1989 Toyota pickup that I have owned since new. I use only Amsoil products in my vehicles and am happy to say that the old pickup has 370,000 miles now and still runs like it did when new. Consider me a very, very happy customer! I switched to ZROD oil for my vintage gto mainly for the zinc/phosphorus content. when I did I changed from a competitors 10w40 to amsoil 20w50 because of oil usage (believed to be valve seal related) and oil consumption decreased significantly. They say it's designed for older engines but it's not. Once your engine is at operating temperature the oil pressure drops below 10psi at idle because the oil is just too thin. Keeps the engine clean ands hold pressure well in bbc. This oil has lots of ZDDP. To protect my Cam and lifters. The 20W-50 I like because l run it in my air cooled engine. Even on a hot day with the Engine at temp of 280' I still have 30# of oil pressure. I also run Amsoil gear lube in the transaxle. I'm sold Amsoil products. I've driven VW Super Beetles for the last 35 years, and once the engines are broken in I've always switched over to Amsoil. And considering that I lived in the Southwest all of that time and 1st generation VW's are only cooled by Air and Oil; it made Amsoil a must. With it's ability to keep engine temps much lower and wear and tear down to a minimum it's been an easy decision.